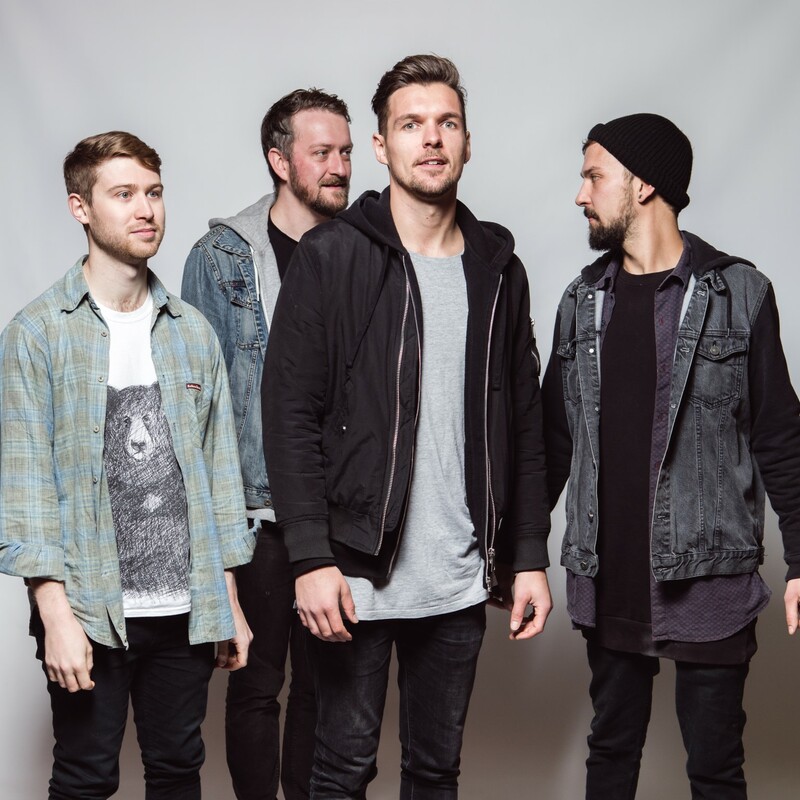 LUNA KISS - Rising Alt Rock Crew Release New Video Lifted From Debut Album! Brit Alternative Rock combo, LUNA KISS, continue their climb with the relaunch of their new album, Following Shadows, which showcases the emerging rockers' deft ability to express gritty riffs, powerfully hooky vocals, and engulfing atmospheric passages that entwine and ignite the senses. LUNA KISS have also just unleashed a stunning video for "You Are". The track is taken from the band's much anticipated debut album, Following Shadows, which arrives everywhere on Friday 12th April. To date, LUNA KISS have released a number of very well received EPs, including Conjure and Sin (2013) and Gravity (2015). While these releases have created a solid foundation for the Coventry-based crafters, it was only last year that the quartet's extraordinary, amorphous vision had truly come into sharp focus. Channelling influences taken from across the musical spectrum, LUNA KISS exhibit an admirably stoic refusal to be pinned down to one genre. Industry tastemakers are now beginning to latch onto the foursome with Kerrang.com, BBC Radio 1 Rock Show, Powerplay Magazine, and BBC Introducing all backing and supporting the band. LUNA KISS's forthcoming debut album, Following Shadows, is expected to vastly continue their growth. The record was recorded with esteemed producer John Mitchell (Enter Shikari/Architects) at the helm. The production is in absolute alignment with the band's manifesto: distinctive and fresh, but still in tandem with the ongoing resurgence of contemporary rock. From the massively tuneful vigour of You Are and Hold On, to the metallic harmonies of Following Shadows, every moment indicates that this band have a bright and boundless future. "Our live shows are dramatic, energetic and creative, and an extension of what you hear on the album" states drummer James Pedley. "We've toured through Europe, playing everything from small venues in small towns to major festivals in Amphitheatres, and it's all really helped us to explore and challenge our sound". Lead vocalist, Wil Russell, adds: "Following Shadows is the culmination of many musical influences and life experiences we have gathered during our time as a band - it's the record we all wanted to make and we're really proud of what we created. We're looking forward to sharing it with everyone."